The circus is coming to town! My family has always enjoyed the circus. 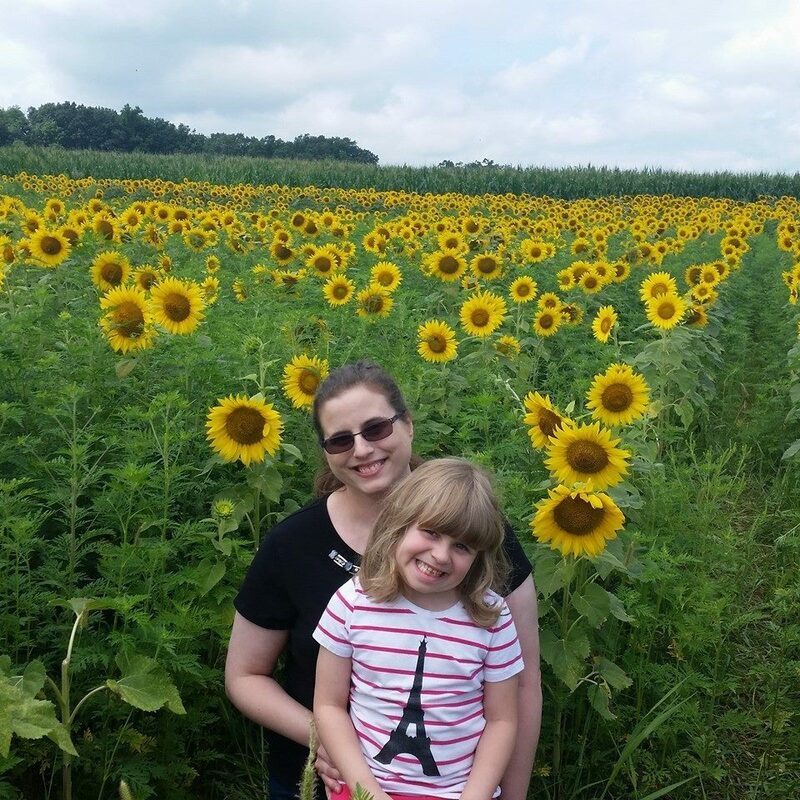 It is fun family entertainment that is sure to put a smile on your face! 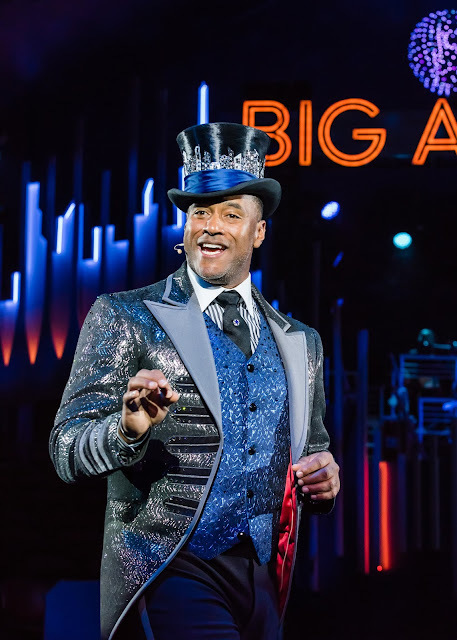 Big Top Works, the new producers of BIG APPLE CIRCUS, are pleased to announce PHILADELPHIA as a stop on the national tour during its historic and critically acclaimed 40th anniversary season. 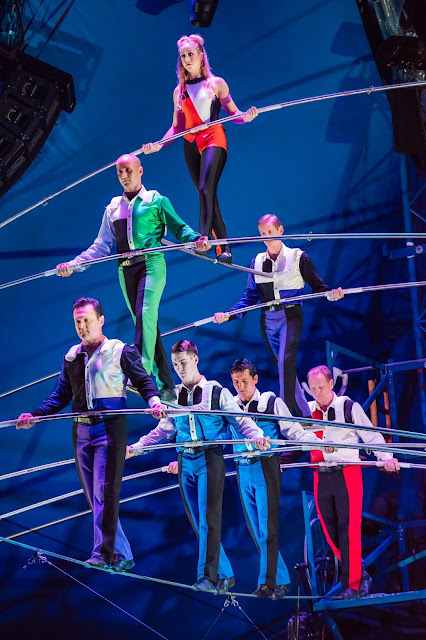 The full lineup of global artists and acts including 10-time world record-holding high wire artist Nik Wallenda will play under the Big Top at the Philadelphia Mills Mall from Wednesday, May 23rd – Sunday, June 24th. World renowned for its one-ring, intimate and artistic style, where no seat is more than 50 feet from the performers, BIG APPLE CIRCUS is passionate about revitalizing the circus for modern-day audiences with unique and astounding human feats, and innovative design and technology. The 40th anniversary season program features the famous seven-person pyramid on the high wire with Nik Wallenda and The Fabulous Wallendas and the daring quadruple somersault attempted on the trapeze by The Flying Tunizianis – the first time in circus history that both legendary feats are performed under the same big top. The record-setting acts are joined by Dandino & Luciana, a dynamic duo who combine speed, acrobatics and daredevil grace on roller-skates; award-winning contortionist Elayne Kramer; master juggler Gamal Garcia; Jan Damm on the Rola Bola; acclaimed Risley acrobats The Anastasini Brothers (who broke the World Record for Most Flips on November 9, 2017); Ringmaster Ty McFarlan; hilarious clowns Skip & Mr. Joel; and circus trainer & presenter Jenny Vidbel, who performs in the ring with 16 horses and ponies, as well as six rescue dogs. Outside of the ring, BIG APPLE CIRCUS continues to honor the essential & iconic characteristics that have set them apart for the past four decades with multiple community outreach programs and a vital no-wild-animals policy. Circus of the Senses offers special enhanced experiences for audiences with autism, visual and auditory challenges. The special performances include ASL interpretation, assistive listening devices with live audio commentary, pre- & post-show touch therapy experiences, and a Braille program book. Sensory-friendly performances for Autistic audience members will feature lowered light and sound levels, a descriptive picture book showing the different areas and acts involved with the circus, and a “calming center” that can be accessed at any point during the show. The BIG APPLE CIRCUS 40th anniversary season is directed by Mark Lonergan, artistic director of three-time Drama Desk Award-nominated physical theater company Parallel Exit, with choreography and associate direction by Antoinette DiPietropolo and music direction by Rob Slowik. Tony Award-winning Lighting Designer Jeff Croiter (Peter and the Starcatcher, Something Rotten! ), Scenic Designers Rob Bissinger (Spider-Man: Turn Off The Dark, Legally Blonde – Assoc) and Anita LaScala (Magic Mike Live) of ARDA Studio, Inc, and Drama Desk-nominated Costume Designer Amy Clark (Heathers: The Musical, Chaplin) come together to create a most vibrant environment to fit the momentous occasion of the circus’s return. Big Apple Circus will be playing at the Philadelphia Mills Mall located in the parking lot in front of Dave & Buster’s at 1995 Franklin Mills Circle. Tickets are on-sale now and may be purchased in advance at www.ticketmaster.com or by calling (800) 653-8000. Tickets start at just $15 for weekday performances and $20 for weekend performances, plus applicable fees. Join us under the Big Top at Philadelphia Mills Mall, now – Sunday, June 24. Use code: BAC50 to save 50% off tickets. Offer valid on select price levels. Price may vary by performance. “Big Apple Circus reminds us HOW MAGICAL A CIRCUS CAN BE. 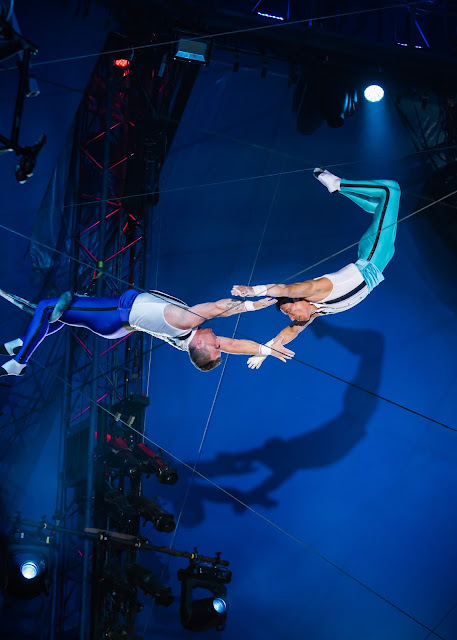 BIG APPLE CIRCUS was founded in 1977 by circus performers Paul Binder and Michael Christensen with a mission to present authentic and thrilling circus arts, in the intimacy of the one-ring Big Top, where no seat is more than 50 feet from the performers. In addition to its world-renowned reputation for presenting exceptionally unique and astounding acts, BIG APPLE CIRCUS - known as the ‘Circus With A Heart’ - has distinguished itself by demonstrating a strong social conscience in its programming, maintaining a vital no wild or exotic animal’s policy. Additionally, BIG APPLE CIRCUS offers numerous community outreach programs including Circus of the Senses, sensory-friendly performances, and Circus for All, which provides access to the circus to those who are underprivileged and underserved. 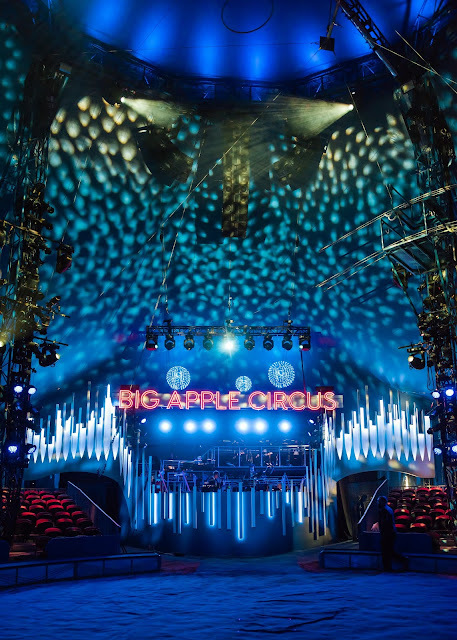 BigTop Works, the new owners of BIG APPLE CIRCUS, share a passion for, and history with, the circus arts and look forward to honoring the legacy of its 40-year history. Follow @BigAppleCircus on Facebook, Instagram, Twitter, and YouTube.